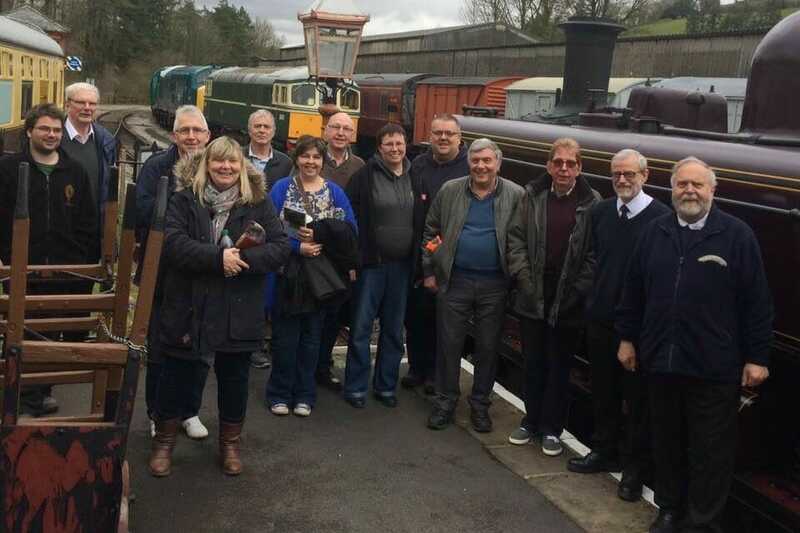 All new SDR volunteers attend an induction day at the railway. To start your journey and become part of the team, drop us an email and we’ll get in touch with you to arrange for you to come along to an induction day. Induction days are a great way to find out about the railway, look around, ask questions, find out about potential tasks to be involved in, and have a chat with the day leader regarding the ‘next steps’. A recent induction day team at Buckfastleigh. We all meet in the training room, the silver building next to the Station Master’s house (Saunders House). Everyone is briefly introduced and the agenda for the day explained. Our inductions are very friendly and informal, so everyone is encouraged to take part in the discussion. We walk around the site at Buckfastleigh and visit all the key locations as we go. We also stop to meet people, places and engines on the way! This helps new volunteers understand the layout of the site and where the key facilities are. We will brief you on our Safety Management System which will give you a great insight of how we manage our railway. Tea and coffee is provided for attendees in the café at Buckfastleigh. A briefing on safety procedures applicable to the railway. All candidates undertake a Personal Track Safety (PTS) briefing and certificate as part of the day. There is a discussion-based briefing with pictures, followed by a short test at the end. Attendees make their own arrangements for lunch. The SDR café is available, or the training room may be used for eating packed lunches. A guided trip around the line on the 2.35pm train. On the way to Totnes we will point out common points of interest on the line. Our experienced staff (some of whom have worked here for nearly 50 years!) are great story-tellers and are able to give plenty of advice in the often-asked public questions such as ‘how old is the train?’ and ‘how fast does it go?’. At Totnes you can see the engine run round and re-attach to the other end of the train. There is lots of opportunity to ask questions and help understand how and why things happen. 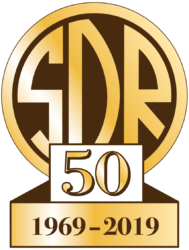 On the way back to Buckfastleigh we will talk to everyone in the group on a one-to-one basis to establish their interests, background, and what sort of tasks they want to do on the SDR. When we arrive back at Buckfastleigh we say thank you good-bye to everyone… for now. Based on the information you give us at the Induction Day, we will arrange for the person responsible for the appropriate discipline that you’re interested in to contact you directly to arrange a mutually agreeable day to start working in the appropriate department. 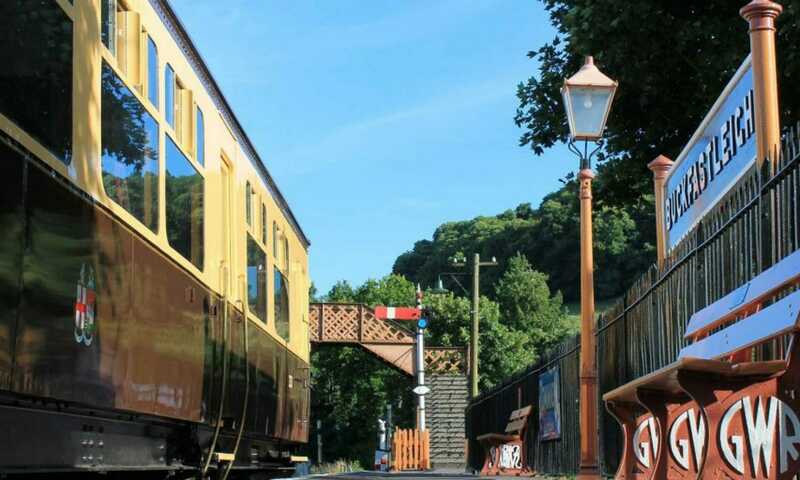 Depending on the nature of the tasks, for some departments, such as steam loco, signalling, etc, there will be further training and inductions to take part in to obtain the necessary competences before you can fully take up a role, and for some other departments you can start straightaway.